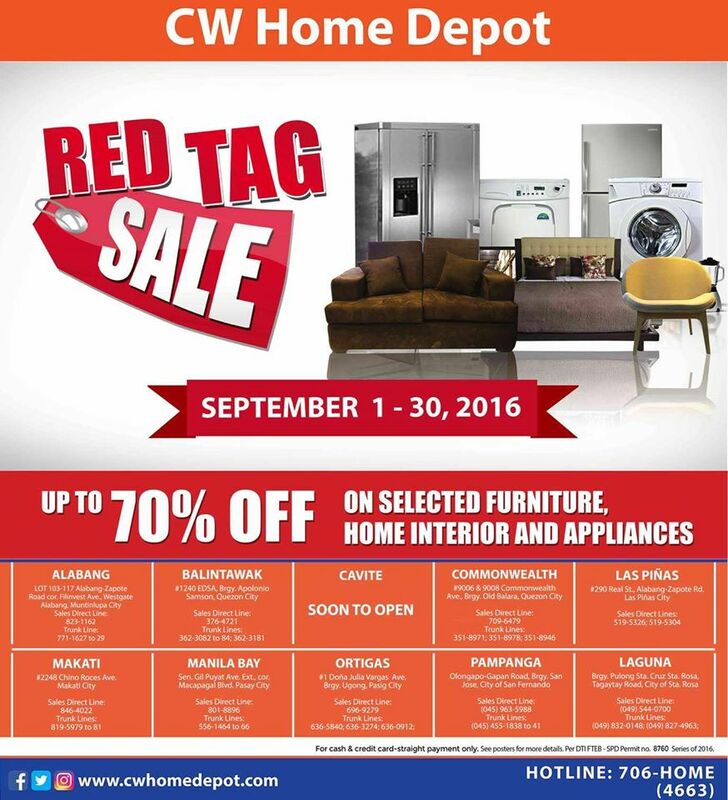 Check out CW Home Depot Red Tag SALE happening until September 30, 2016. 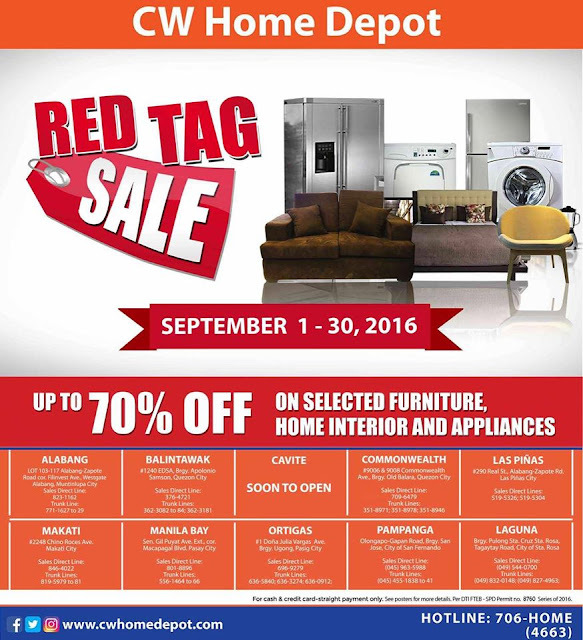 Get up to 70% off on selected furniture, home interior essentials, and appliances. 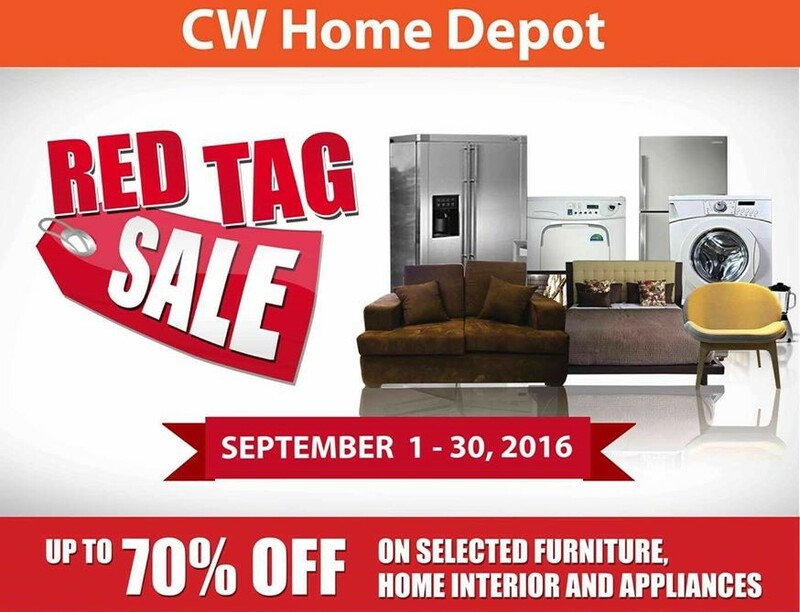 Head over to CW Home Depot Stores near you!